Bonds are issued as forms of tradable debtSenior DebtSenior Debt or a Senior Note is money owed by a company that has first claims on a company’s cash flows. It is more secure than any other debt such as subordinated debt (also known as junior debt) because senior debt is usually collateralized by assets. This means the lender is granted a first lien claim. The bond issuer is the borrower, while the bondholder or purchaser is the lender. 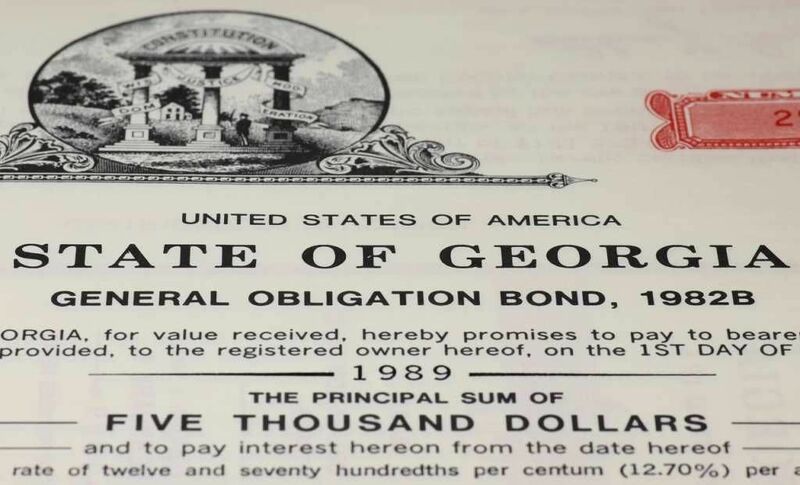 At the maturity of the bond, bond issuers repay the bondholder the principal valuePar ValuePar Value is the nominal or face value of a bond, or stock, or coupon as indicated on a bond or stock certificate. It is a static value determined at the time of issuance and unlike market value, it doesn’t fluctuate on a regular basis.. The most common type of bonds are issued by firm. Firms issue bonds when they require funds to finance projects or working capitalNet Working CapitalNet Working Capital (NWC) is the difference between a company's current assets (net of cash) and current liabilities (net of debt) on its balance sheet. It is a measure of a company’s liquidity and its ability to meet short-term obligations as well as fund operations of the business. The ideal position is to. Firm bonds can range between the whole spectrum of bond ratings, as provided by the S&P ratings boardS&P - Standard and Poor'sStandard and Poor's (S&P) is a market leader in the provision of benchmarks and investible indices, as well as credit ratings for companies and countries, and other financial information services., for example. Firms may even issue different classes of bonds, with differing bond characteristics. Accordingly, a firm with a specific credit rating may have bond issues that are not necessarily in line with that credit rating. For example, Hershey’s may issue bonds that are AA rated, even if the company itself is wholly rated as an AAA company. Coupon payments from firm bonds may be paid through regular operations, or other indirect sources, such as lines of creditWhat is Revolving Debt - Guide and ExplanationRevolving debt is a line of credit individuals and corporations can borrow from and pay back as needed. Revolving debt does not deplete like regular loans. A revolving debt does not have a fixed amount of payment every month. The charges are based on the actual balance of the loan., revolving debt Revolving DebtA revolving debt facility (a "revolver", also sometimes known as a line of credit, or LOC) does not feature fixed monthly payments. They differ from a fixed payment or term loan that has a guaranteed balance and payment structure. Instead, the payments of revolving debt are based on the balance of credit every month.or even more bonds. The second most common type of bonds are issued by governments. The US Treasury Bond is a great example of this type of bond issuer. Government bond ratings are typically very high, although this can depend on the specific government issuing the bond. A bond issued by a developing country’s government will naturally be riskier and lower rated than a bond issued by a developed country. The US Treasury Bond is a very highly rated bond, such that the yields on these bonds are often taken as the risk free rate when performing financial calculations, such as calculating the cost of equityReturn on Equity (ROE)Return on Equity (ROE) is a measure of a company’s profitability that takes a company’s annual return (net income) divided by the value of its total shareholders' equity (i.e. 12%). ROE combines the income statement and the balance sheet as the net income or profit is compared to the shareholders’ equity. under the CAPMCapital Asset Pricing Model (CAPM)The Capital Asset Pricing Model (CAPM) is a model that describes the relationship between expected return and risk of a security. CAPM formula shows the return of a security is equal to the risk-free return plus a risk premium, based on the beta of that security. Coupon payments for government bonds are typically paid out from government revenue, such as taxes. Supranational entities refer to global entities that are not based in a specific nation. More specifically, a supranational entity has members that exist in multiple countries. Examples of supranational entities that issue bonds are the World Bank or the European Investment Bank. Like government bonds, these bonds are typically quite highly rated. A supranational entity may issue bonds to fund its operations, and pay out coupon payments through operational revenue. Smaller municipalities may issue bonds in a similar matter to governments. These bonds will usually be rated similarly to the over-encompassing government. While the bonds themselves are not issued by the government, they are typically backed by the full faith of that government. Firms or governments may issue bonds for special projects, or through special purpose vehicles. These bonds are tied to a specific project, such as an infrastructure build. The bond proceeds are then used to finance that project, and the coupon payments and principal are paid out through the project’s revenue.